The dietitian plays a vital role in the multidisciplinary care of a child with chronic kidney disease (CKD). The dietitian’s role specifically is to ensure that each child’s nutritional status is optimized to promote adequate growth in the setting of CKD. 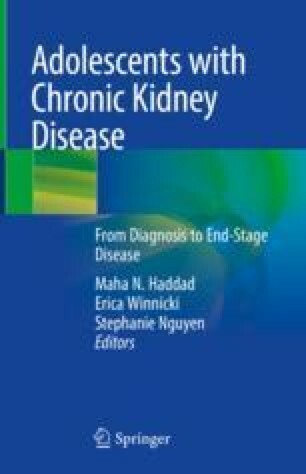 This chapter reviews the dietitian’s approach to interpreting growth parameters, laboratory values, common medications used in CKD, and dietary history. Using this information, an individualized nutritional plan is developed which is used as educational material to engage the family and child to optimize their nutritional intake in the setting of CKD.